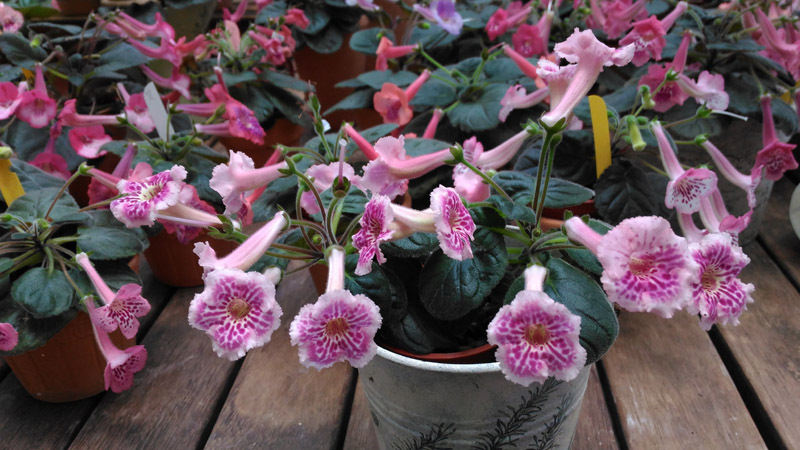 The color potential of Miniature Sinningia has been revealed since Taiwanese hybridizers involved a lot of trial hybrids over years. New color pattern appears from time to time because the hybridism of Miniature Sinningia keeps going. I found a new one, rather to my surprise, that is very pretty and outstanding. As you can see the background is dazzling enough, but this seedling still shows off with its characters. It is a Fu's hybrid, the flowers own peloric and normal patterns, but more is peloric as we can see.